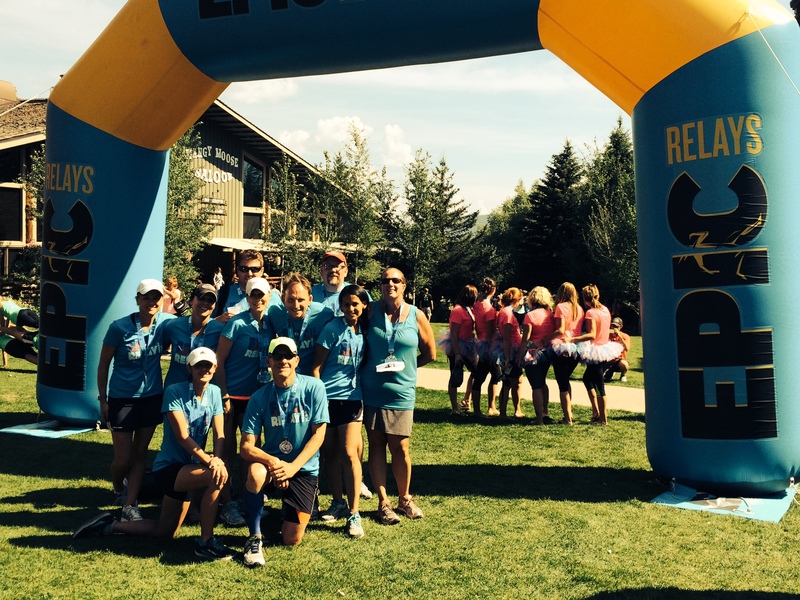 The Epic relay was a ton of fun. My team consisted of ten runners. 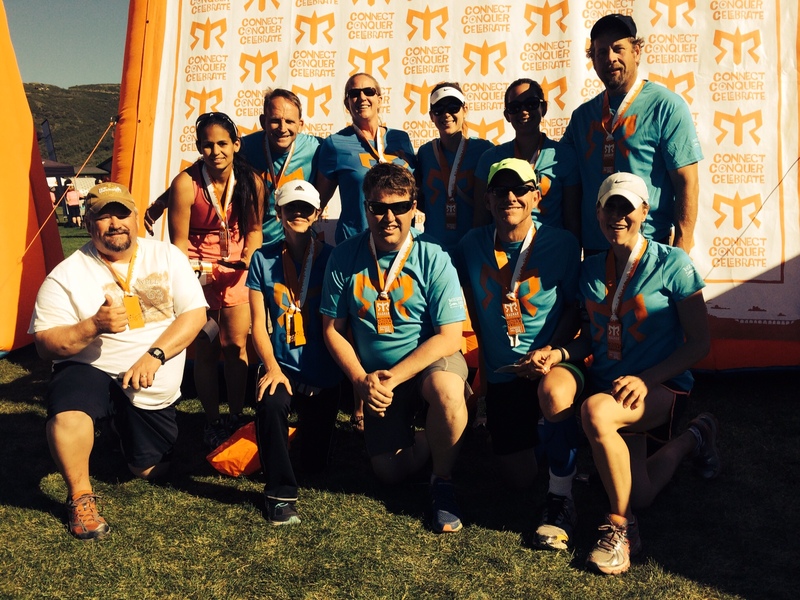 Eight “normal” runners and two ultrarunners. The race began at 5:00 am Friday morning in Logan, Utah. We went through Idaho, and finished in Jackson Hole, Wyoming. Epic is small compared to other relay organizations. 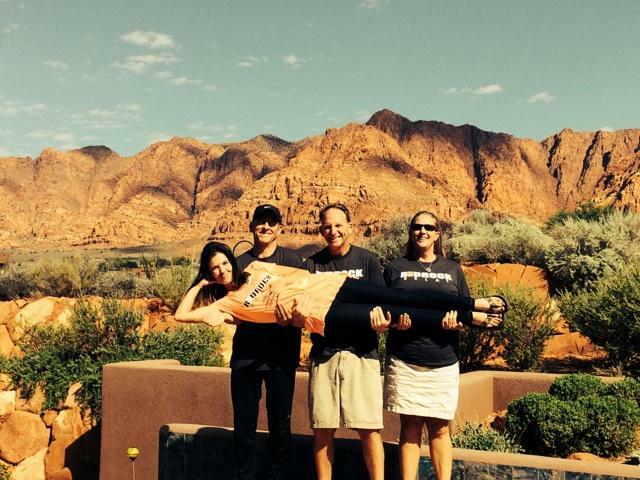 Ragnar hosts 1200 teams and Red Rock Relay has around 300 teams. There were only 84 teams spread out over the 205 miles. This was the longest relay my team has completed. Both Wasatch Back and Red Rock are about 195 miles. What’s ten miles more, you ask? It’s another hour and a half on the racecourse, which is eternity when you’ve been in a van for 36 hours already! Epic was a tough race. The course was beautiful farmland, small towns, and the Tetons. My team, Nut up or Shut up, (from Zombie Land the movie) struggled specifically in the dehydration department in our second van (the van I was in). 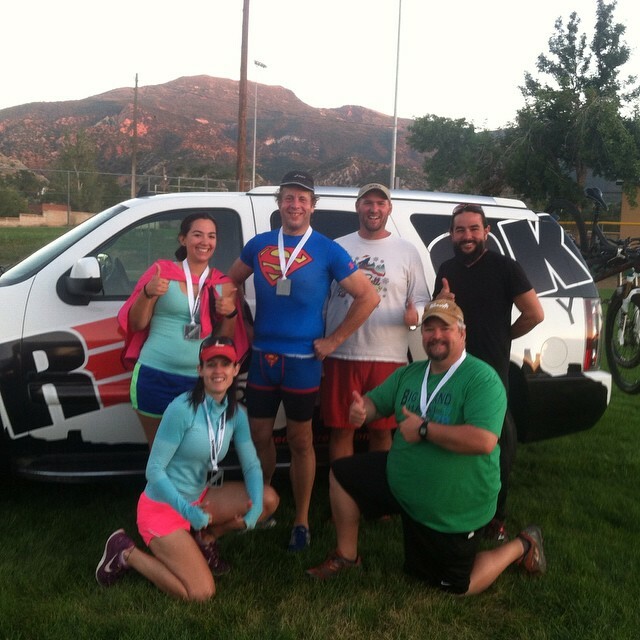 Van one was able to knock out their miles in the early morning hours and early night time hours. Van two ran during the heat of the afternoons and the cold during the night. My team (minus J$ who is running) at exchange six. Van Two’s starting point. My first run was 20 miles long. I began it at 2:16 pm. I knew going out that it was not going to be the most fun run ever because I don’t do well in the heat. There was no shade on this portion of the course. There were a quiet a few hills. I was fine through the first 4.6 mile leg. During the second leg, 9.3 miles, I became dehydrated, overheated, and nauseous. My team was stopping every two miles trying to keep my body temperature down by dumping ice water over my head. The third leg of my run was 6.5 miles long. By the time I hit 17 miles I was walking the hills to keep myself from vomiting on the side of the road (I really hate vomiting). When I met with my team, I had Spongebunny finish the rest of the leg so that my team could hit the time cut offs imposed by the race. Lesson to take away from this: Zombie Land Rule #17 “Don’t Be a Hero.” Ask for help when you need help. I needed help. I had twenty-two more miles to complete and was in a bad way. Spongebunny finished the last 3.5 miles and kept us on track. I’ve been trying to work this rule into relay running since 2010. I am grateful for the opportunity to learn it and for a team who believes it. My second run was twelve miles and began at 3 in the morning. It was cold about 36 degrees Fahrenheit. My stomach had not recovered from the morning jaunt, but I was feeling better. After our second leg of the race, we slept about two hours and then went back out for our final run. More heat! We began our run at 11:20 and it was getting toasty. I began my last ten miles at 130 pm. When I finished, I was glad to be done. 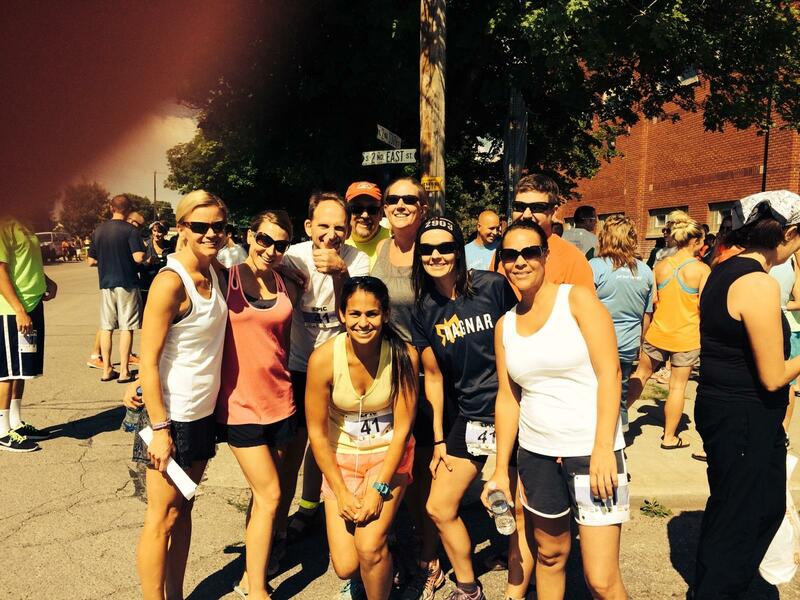 We did have two runners vomit during the race and one major GI(diarrhea) explosion, but we persevered. We are, after all, team Nut up or Shut up! After finishing twelve relays, I’ve decided being in Van two is more difficult than being in Van one. It’s more about the structure of the relay than the terrain, but the terrain in Van two for mountain relays typically has more elevation and Van one has longer distances. Maintains a more normal eating routine. Maintains a more normal sleeping routine. You have to leave a day early. What does it take to run an ultrarelay? Five of your closest friends, liquid awesome, and determination. Most relays are about 200 miles total or thirty-tree miles a piece for six runners. Well, that would be the case if the legs were evenly divided between each runner, but they’re not. The total distance is broken up into 36 legs anywhere from 2 miles to 11 miles. Some positions may have a total mileage as low as ten miles, and others may be as high as twenty miles. While this is excellent for a twelve-person team (because you can have runners of all levels on your team), it could pose a problem for an ultrateam. Running a relay is hard. In ways, it is more challenging than running a marathon. A marathon requires continuous effort for three to four hours for most people. A relay requires sporadic effort for 24-36 hours. There are no rules on how you split the legs between your six runners. Option A: The easiest and most obvious would be that each runner would take two back-to-back positions. This maintains the three legs for each runner typical of a relay event. This makes each of the legs longer. Option A is the most rational choice. Runners have the longest time to recover, sleep, and eat. It maintains the classic three legs per runner. Frankly, I think it is easier to run longer three times in a twenty-four hour period than running shorter six times during a twenty-four hour period. 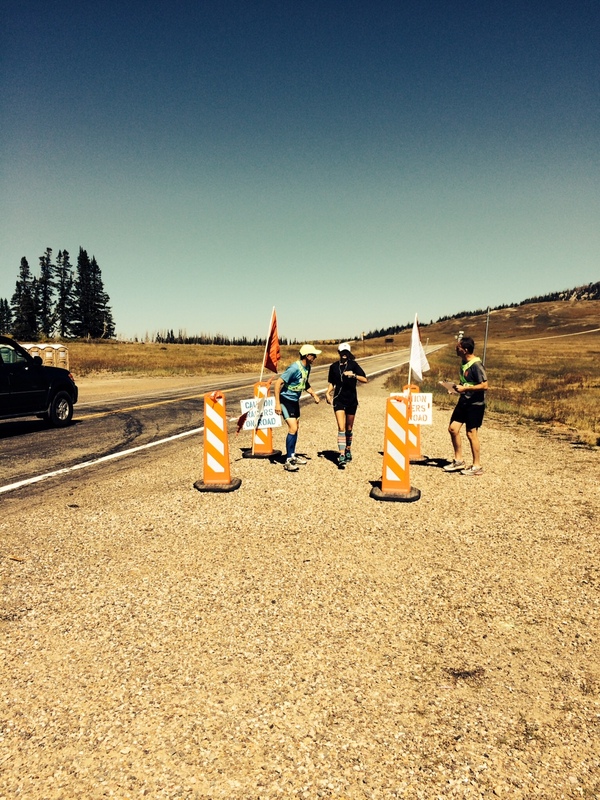 For an ultrateam, there are increased risks of dehydration and heat stroke. Good advice whenever you are running an ultra is be prepared for anything and take care of problems as early as possible. If your stomach starts to act up or you have a hot spot, it’s probably not going to get better in 20 more miles. It’s going to get worse, so you need to do something about it as early as you can. My team keeps a cooler in the van full of ice and giant sponges. We use them to cool off runners during the heat. Other teams use spray bottles, squirt guns, and fertilizer spray jugs. I have found that the sponge seems to work the best and keeps the runner cool the longest. They do end up soaking wet by the end of their run. For runners who get blisters with wet feet this can be an issue so a lubricant like hydropel, which is waterproof, would be a good idea as well as lots of extra socks. The ice-cold water squeezed above the runner’s head can be shockingly refreshing, as noted by the sharp inhale of breath and the “oh my god!” reactions. Training for a relay race requires you to run three times in one 24-hour period. Your body responds differently under these conditions. It is just smart to know how exactly your body responds so you can be ready for it, and you know if what you are experiencing is due to the multiple runs or some other issue or injury. Many people think, “Oh, I can run three miles,” the length of one leg. Rather than “Oh I can run 10 miles,” the total of all three legs. The final leg for each runner is more like the last six miles of a marathon than just another three miler because you haven’t eaten well, you haven’t slept well, you may be dehydrated, and you are probably sore and tight. Keep in mind that your first run affects your second run and runs one and two will affect run three. They are too close together to not affect each other. There is not quite enough time in between each leg to recover. Recovery takes eight hours or more of good down time. Think in total miles, not single legs. If you do, you will be prepared for this run. Stomach issues are common among ultrarunners. Keeping various options on hand to address stomach problems is essential for any ultra. Pepto-Bismol, ginger chews, tums, and ginger ale are all good options. A relay is great for first time ultra because you have your crew right there to provide aid, encouragement, and anything else you may need along the way.